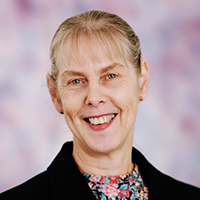 Rhonda Smith is a Senior Lecturer in the Economics Department at the University of Melbourne. From November 1995 to November 1998 she was a Commissioner with the Australian Competition and Consumer Commission. She was also a member of the Federal Government's Copyright Law Reform Committee (1995 to 1998) and is currently a member of the Copyright Tribunal and a lay member of the High Court of New Zealand. Rhonda has acted as an expert witness in a number of Trade Practices cases, has advised firms in relation to trade practices issues and provides training in relation to the economics of trade practices, including to the ACCC.